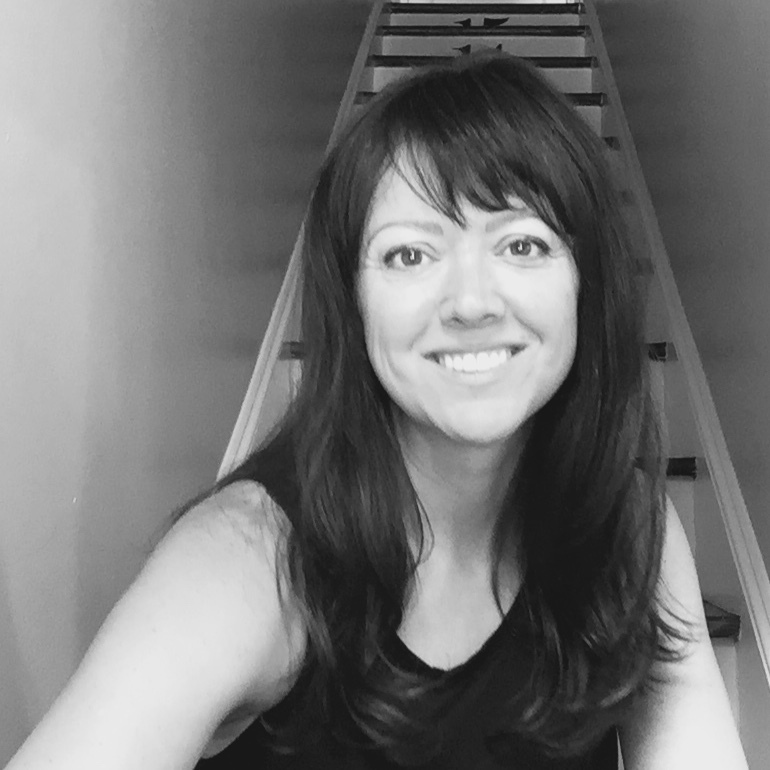 We put the finishing touches on the guest bedroom a couple months ago but I haven't gotten around to putting together this post until today. 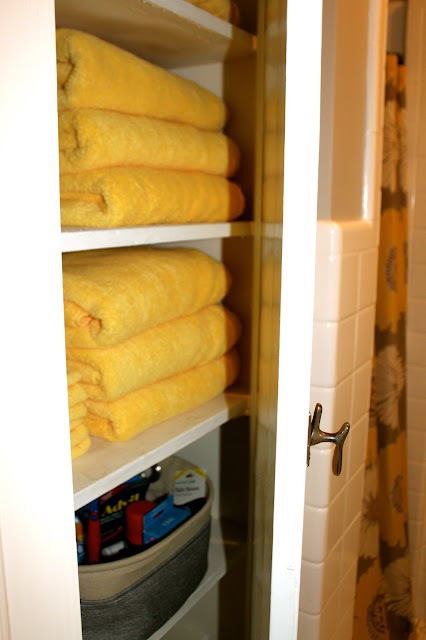 You may notice that in some of the pictures, the rug is missing. That's because we only added the rug a few weeks ago (LOVE) and I took a majority of the photos (because I have really good intentions) back when we had 90% of the room done. 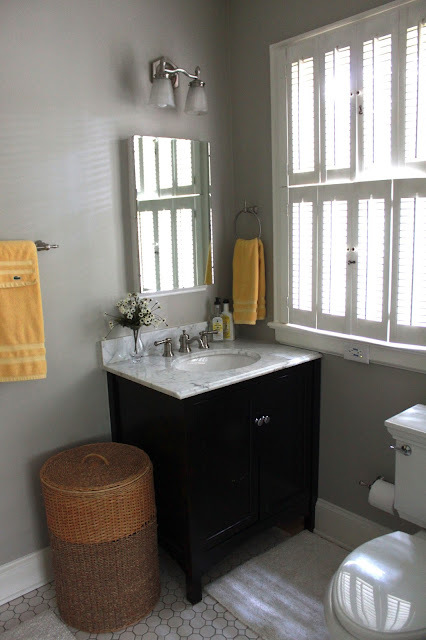 The bathroom only boasts a stand-up shower but the space is bright and cheerful. 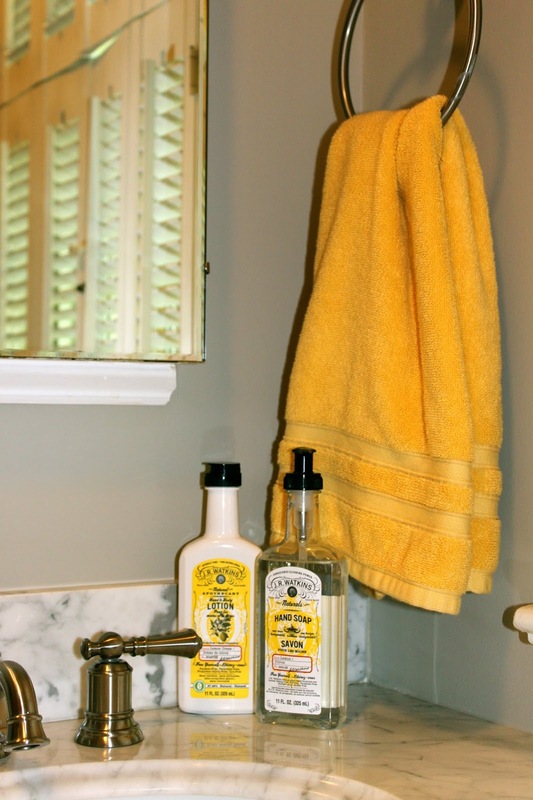 I outfitted it with my new favorite hand soap and lotion--not just because the packaging is adorable and coordinates with the colors but because I actually love this stuff and want to treat our guests to one of my recent "things I love" items. Another touch I loved creating was this desk organizer that I filled with reading material, stamped post cards, snacks (though any guest of ours is always welcome to raid the kitchen whenever they so desire), and personal notes. I stock the organizer with local/southern reading choices that include Our State: North Carolina, Garden & Gun (after my initial giggle over the title, it turns out this is one of my favorite reads), Southern Lady (when I can find it--because really, how awesome is that title? 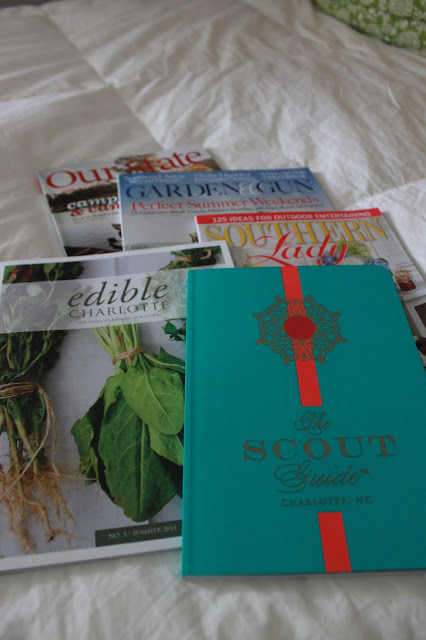 ), Edible Charlotte (local eats), and The Scout Guide (shopping). And don't forget this little gorilla guy to light your yummy candle! So let me know when you're coming!